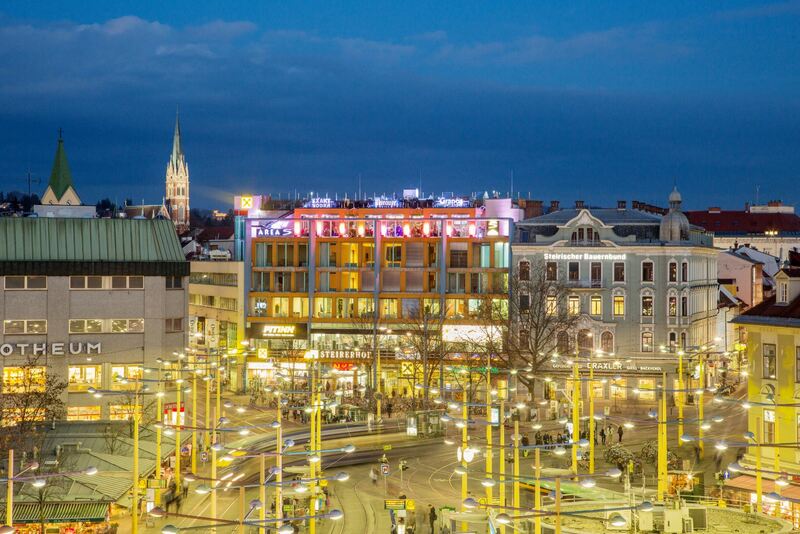 The Steirerhof is located in the heart of Graz, at the central traffic junction, on the Jakominiplatz. 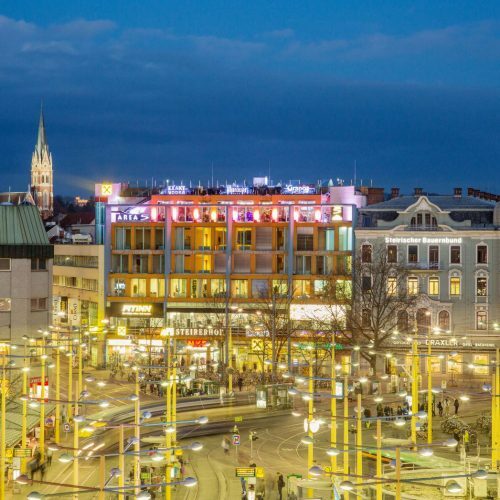 With its eye-catching facade, the Steirerhof is a popular meeting place that has shaped the cityscape of Graz for decades. 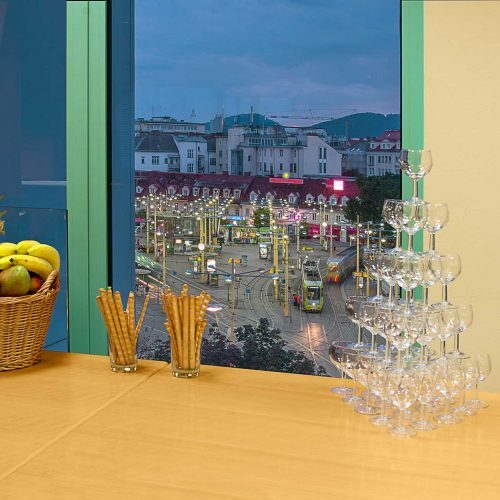 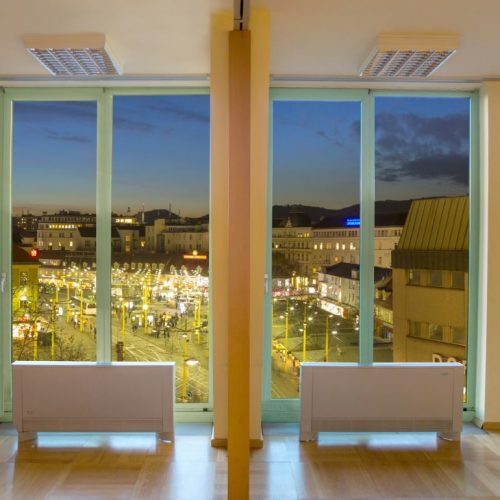 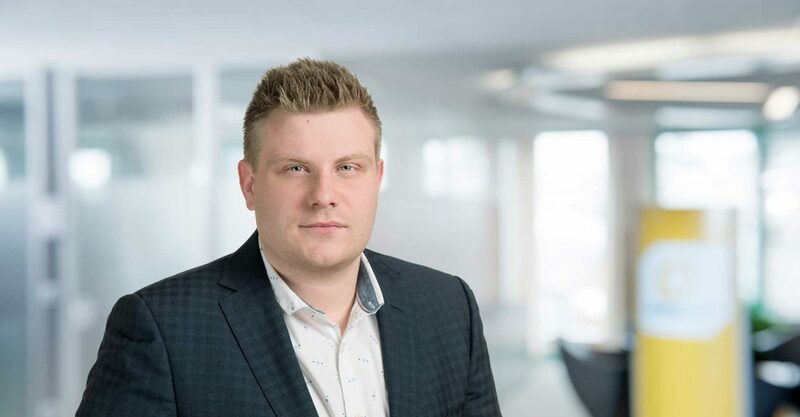 In addition to the numerous office spaces and the underground car park, the Steirerhof offers an excellent panoramic view of the city from the roof terrace of the Area 5, the restaurant on the 5th floor. 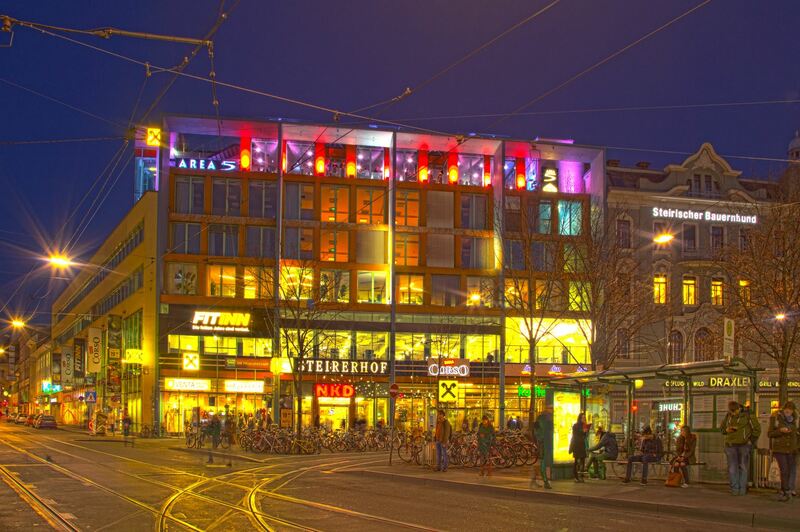 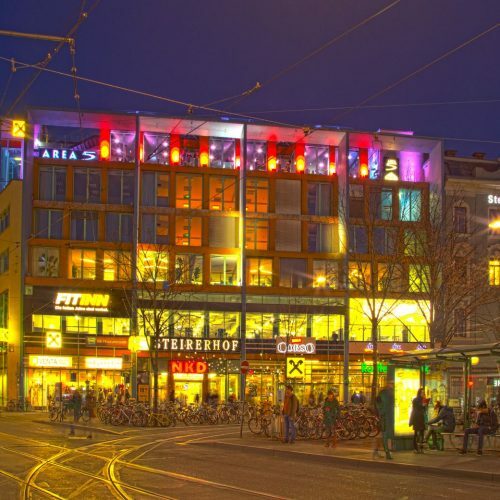 In addition to the Raiffeisenbank on the ground floor, two textile retailers, the drugstore chain DM, the Billa Corso and a café in the Steirerhof established themselves. 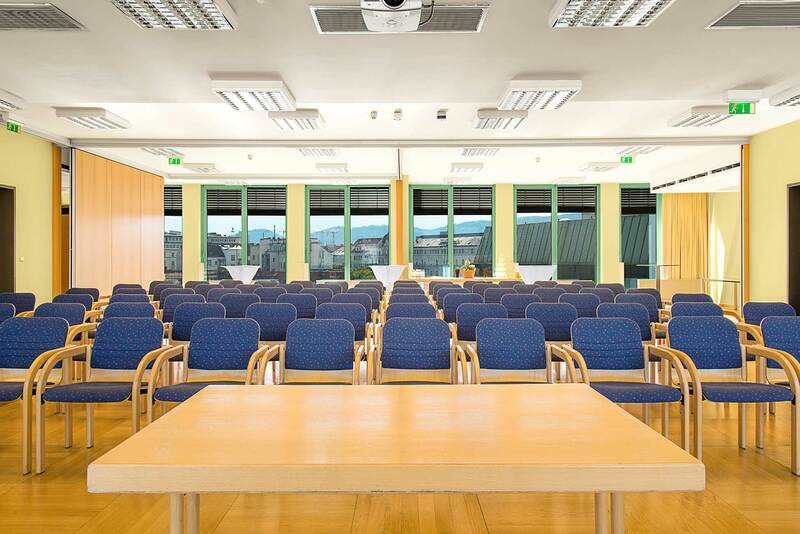 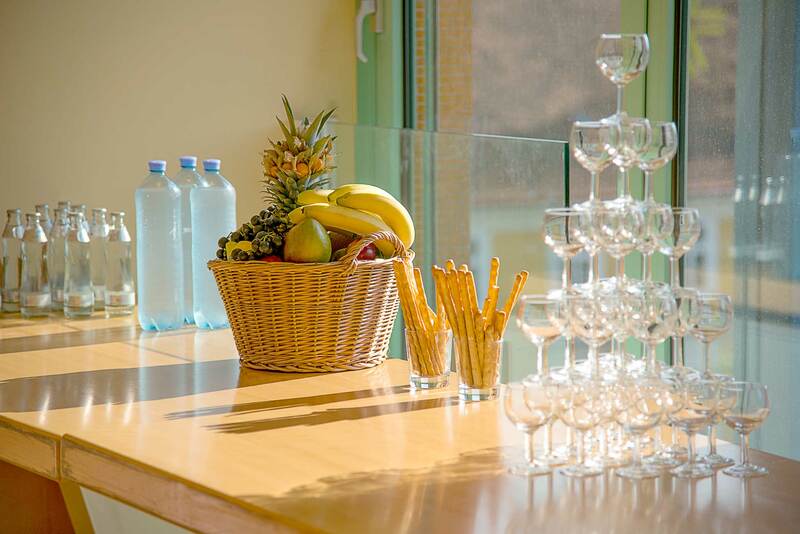 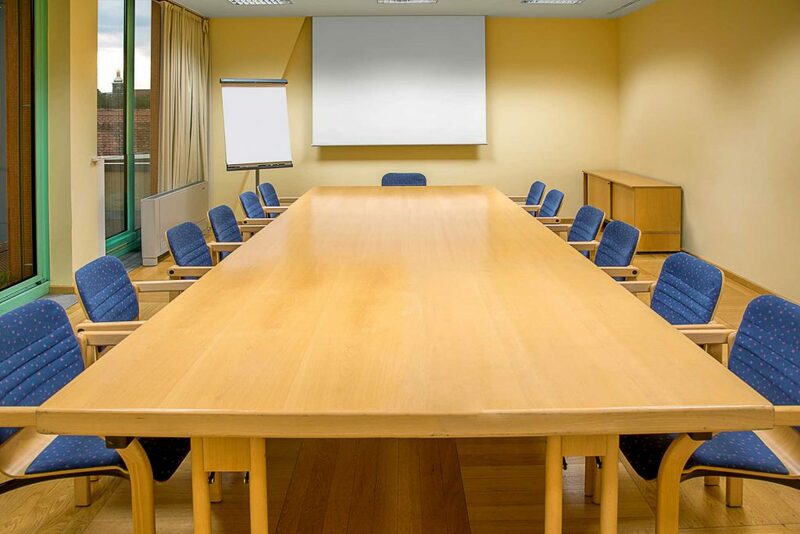 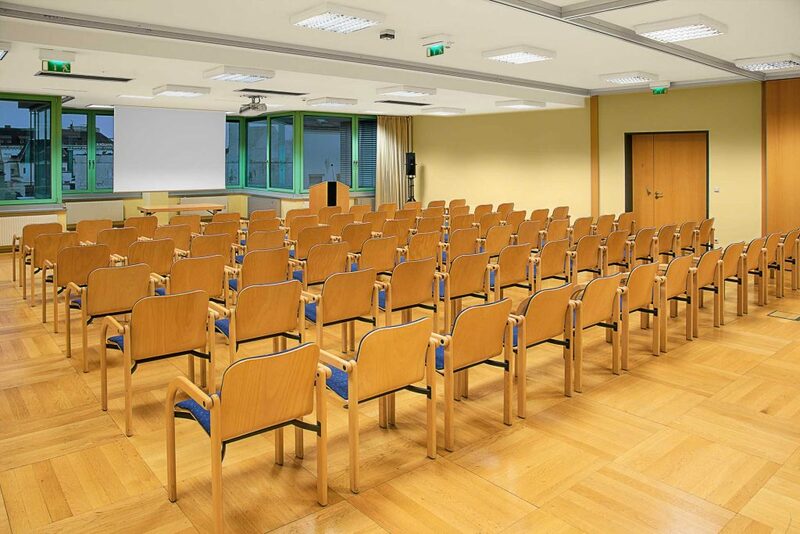 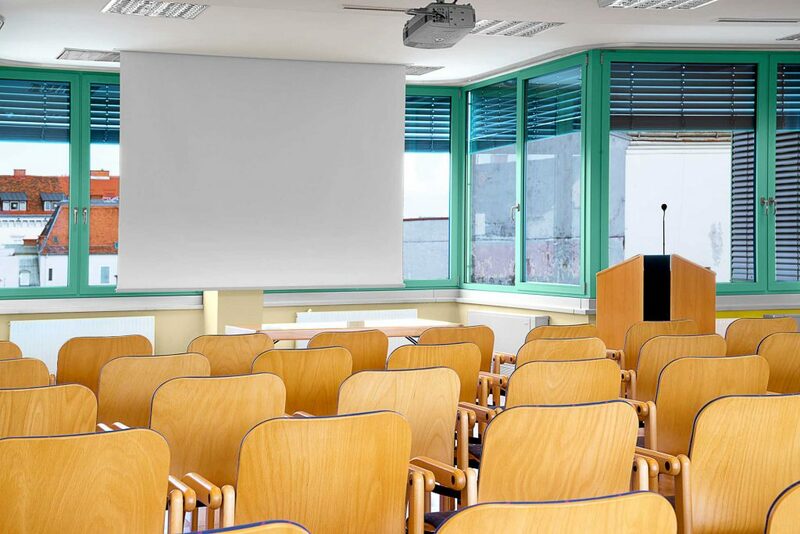 Furthermore, the Steirerhof offers its customers two meeting and seminar rooms for every type of event. 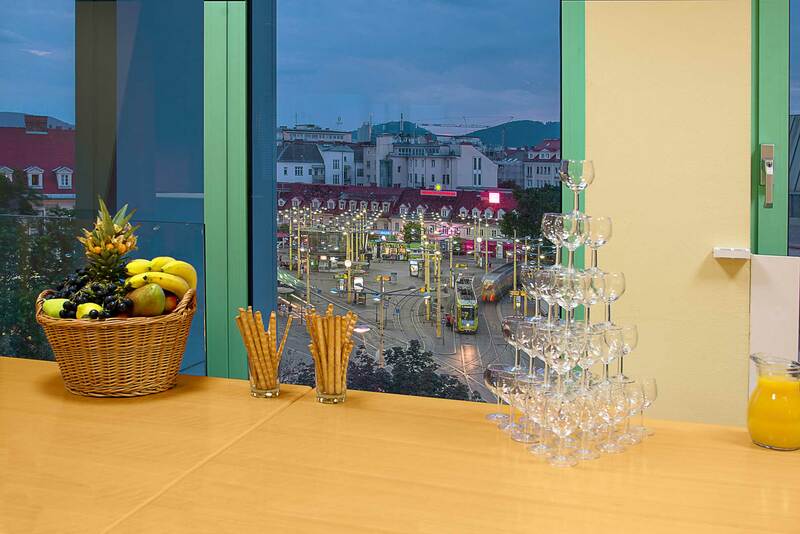 These are located on the 4th floor and convince by the well-frequented location and the view.